Airport development is surging across Africa, as a number of factors drive aviation demand across the continent. With IATA projecting a 5.1% growth in passenger numbers across the region by 2035, what are some of the most exciting African airport projects set to drive further growth across the continent? 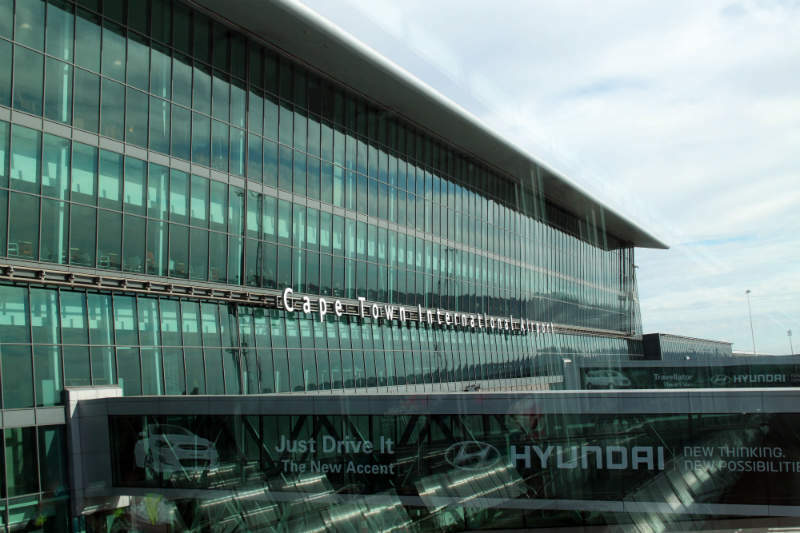 Cape Town International has received the green light for a host of works, including expansions at both its domestic and international terminals. Credit: Flickr / flowcomm. Until recently, Africa’s aviation market was faring poorly, due to several decades of underinvestment and mismanagement, as well as poor safety records in air transportation. But with sweeping changes brought in by regional and global development banks, including the World Bank and the International Finance Corporation in the early 2000s, accountability and transparency flourished, along with foreign investment. In 2015, the International Air Transport Association’s (IATA) director general Tony Tyler highlighted the true potential for growth across the continent, stating that aviation is the “lifeblood of Africa”, supporting 6.9 million jobs and $80bn in GDP. In the same speech, at the IATA Africa-Middle East Aviation Day in Nairobi, he also acknowledged the challenges and troubles that remained, such as ill-conceived regulation, poor safety oversight, inadequate and costly infrastructure, and restrictive air-service agreements. This year, that potential was officially recognised by the signing of a Memorandum of Understanding (MoU) between IATA and the African Airline Association (AFRAA), with the two committing to work together to deliver capacity building projects, promote regional air connectivity, and encourage data exchange among aviation stakeholders – all with the view to advance the sector. Africa’s flagship aviation project is currently taking place in Ethiopia, where a brand new $4bn airport is being built in the capital city Addis Ababa. Estimated for completion in 2024, the New Addis Ababa International Airport will be built at a yet undisclosed location, but with four runways, it aims to be bigger than London Heathrow and serve as many as 120 million passengers every year. The new airport is hoped to consolidate the market position of the country’s most profitable airline Ethiopian Airlines, while also turn Ethiopia into a major aviation hub for East Africa. The city’s current airport, Bole International, is also currently undergoing a $350m restoration, expected to be ready later this year. As South Africa’s biggest international airport, Johannesburg Tambo handles around 1.2 million passengers per month. In June, UK-based consultancy Mace announced a new contract with Airport Company South Africa for airport improvement projects, valued at $70m. These will refurbish two of the region’s most prominent airports, namely OR Tambo International and Cape Town International Airport. According to a press release from the consultancy, the improvements will include five new seating areas, and the renovation of a portion of its airside corridor at Tambo. Next year will mark a decade since Tambo completed its biggest renovation project to date, which turned it from a disjointed series of buildings to the global hub it is today. Beyond the current restoration, the Ekurhuleni Aerotropolis vision plans to put Tambo at the heart of a bone-fide aerocity, complete with retail outlets, hotels, leisure and entertainment, conference, convention and exhibition venues, office buildings, medical facilities and industrial, manufacturing and distribution complexes. Morocco’s Mohammed V International Airport is currently preparing to open its doors to millions more passengers as soon as a decade-long refurbishment of its Terminal 1 building wraps up in July. The revamped facility is expected to double the airport’s capacity from seven to 14 million passengers. According to local news sources, the terminal consists of 84 check-in counters and 17 boarding gates, while Moroccan tourism giant Atlas Hospitality plans to build two hotels in the airport’s vicinity. On 1 July, Oman Air opened a new route into the airport, between Casablanca and Muscat, which is hoped to strengthen the bilateral relationship between the two countries. The news comes after the annual Airport Service Quality awards rated Mohammed V International the best in Africa. As Africa’s third largest airport, Cape Town International got the green light for a host of works, including expansions at both its domestic and international terminals, as well as runway rehabilitation at a cost of $540m. The scheme is expected to spell new growth not just for the airport, but for the whole region, as well as accommodate extended passenger processing capacity in South Africa. As part of the undertaking, the existent runway is to be realigned, and it will receive new parallel and rapid exit taxiways. The improvement works will allow some of the world’s largest aircraft to land, spurring new tourism and freight transport into South Africa. Uganda’s Entebbe International Airport is also undergoing vast expansion works at a total cost of $552.9m, the first phase of which is currently nearing completion, according to the Civil Aviation Authority. The project, backed by the Export Import Bank of China, includes runway construction and rehabilitation, terminal construction and modernisation, airfield lighting and communication solutions. In July, the airport will celebrate the completion of the first phase, which involved the bulk of the works, such as the construction of a new passenger terminal building, the relocation and expansion of the cargo terminal building and the lengthening of the main runway, among others. The last phase, to be completed in 2033, will also bring a new control tower and the rehabilitation of the current runways.